At some point we all have moments when our mortality hits home. Maybe a friend or relative passes. Perhaps we face a health crisis, or enjoy a glimpse of spiritual awakening. A fresh awareness of the frailty of life sinks in. Sometimes this realization gradually fades and we carry on as before. Other times it can have a deeper impact, kicking us into action—and that is what happened to me. My “mortality awareness” came from a rather mundane event. 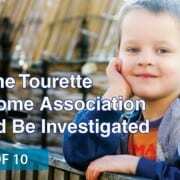 In September 2016, I was at home working on my computer when I decided to search the website of the Tourette Association of America (TAA – previously Tourette Syndrome Association). This is the largest, most powerful voice for Tourette’s in the world. In fact, it basically has a monopoly on the topic. Our organization has repeatedly tried to get the TAA to broaden their view of Tourette’s beyond genetics to include the critical role of the environment, allergy, the immune system, and diet. I searched their site repeatedly for topics that many of you have confirmed as helpful for reducing tics: allergy approaches, dietary adjustments, avoiding toxins, recognizing triggers. . . The result? Nothing. Not one helpful article. It hit me that I had dedicated 25 years to this effort. And I had failed. 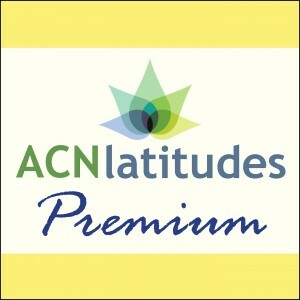 While Latitudes.org and StopTicsToday.org, plus my first book Natural Treatments for Tics and Tourette’s, have reached a targeted audience, the conventional approach to Tourette syndrome has not changed, it has not improved. 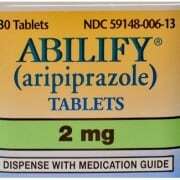 Patients still do not receive answers from doctors explaining why they have tics and what they can do about them, and medications with serious potential side effects are readily offered, even to toddlers. In my moment of reckoning I recalled how I started this project while in my mid-40’s. 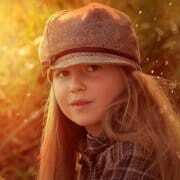 Now I was nearing 70. While I am not aware of any health problem that might cause me to have a quick demise, I suddenly wondered if I might leave this world without having made a dent in improving the mainstream understanding, and the standard treatment, of Tourette’s. I asked myself, was there something more I needed to do now—right now? 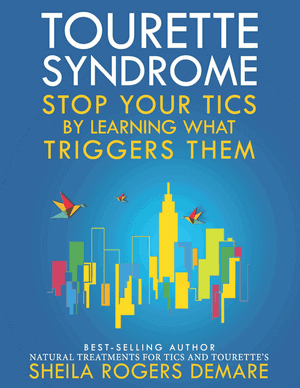 I decided to write a book focused solely on triggers for tics. It is a simple concept that reflects an undeniable fact: There are triggers for tics, just as there are symptom triggers for many other health conditions. (Think migraine.) When personal triggers can be identified and avoided, symptoms can improve. Yet conventional medicine refuses to acknowledge this. Once this message is in a book, I told myself, then “it would be up to the universe” to take it from there. What seemed like a quick project has taken me over a year. 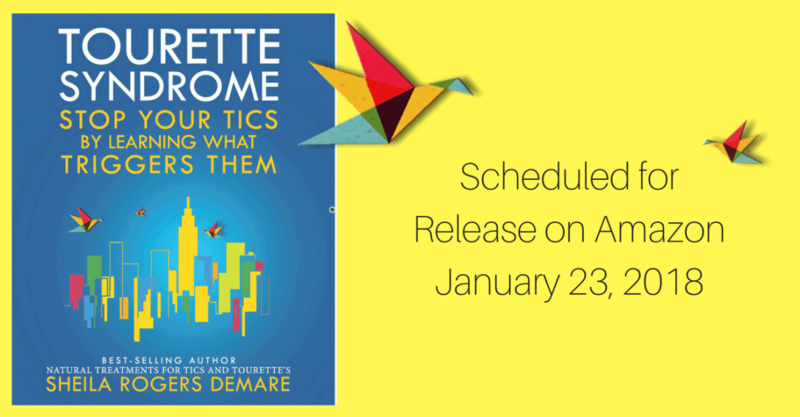 Tourette Syndrome: Stop Your Tics by Learning What Triggers Them is scheduled for release on Amazon on January 23, 2018. I hope that the book’s message will resonate with all who need it. While no concept will be the answer for everyone, there are many with tics who can benefit from a trigger approach. 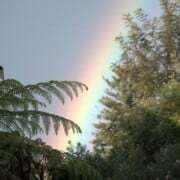 It is also my hope that some of you reading this (as part of the “universe” that I am counting on!) will take the issue of tic triggers to the media. This is the best way to ensure that the prevention and treatment of Tourette’s moves in new, effective directions. This, like some other personal messages you’ve shared, brought tears to my eyes. 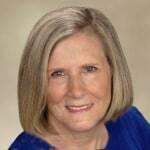 You have made such an impact to so many, Sheila! Thank you for your continued labor of love in this field. I’m looking forward to getting my copy of the book and will try to spread the word as best as I can! Sheila…I wish your books had been available when I was growing up. My mother didn’t know what to do for me. As an adult I have learned that I have major chemical sensitivities. Things like scented laundry detergent and a new carpet can really set my tics off, just as examples. I have made changes to my lifestyle, and cleaning up my diet has been a huge help. Keep up the great work–and I will forward a contribution.